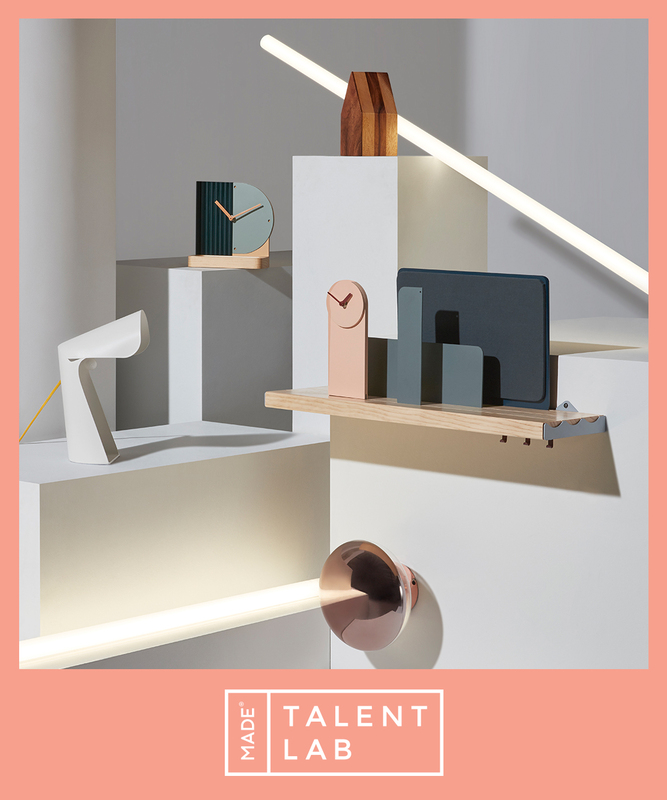 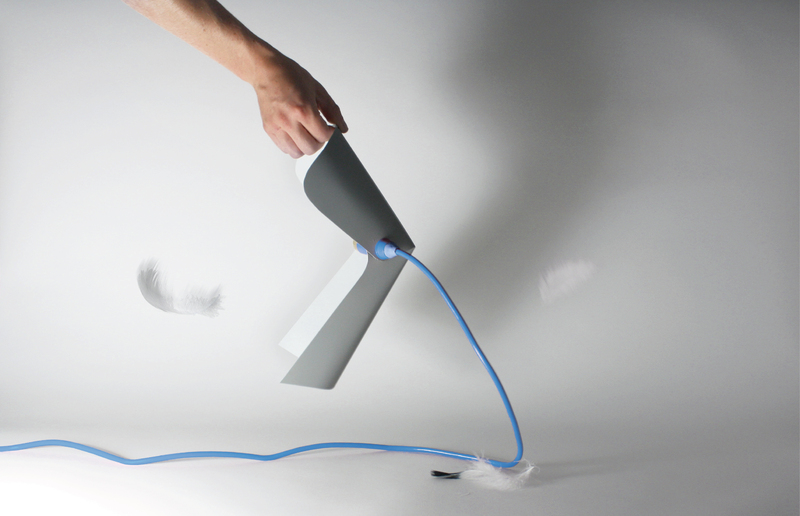 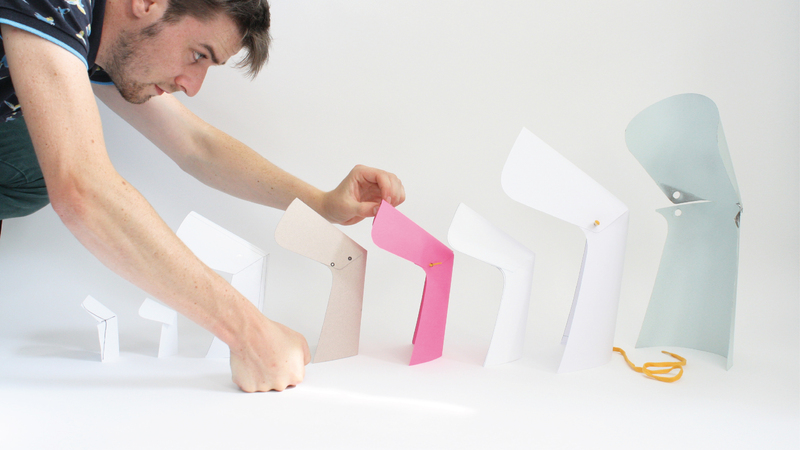 Pelican is a simple lamp composed by the minimum of elements : a light at the end of an electric chord which seems to be planted in a sheet of folded paper. 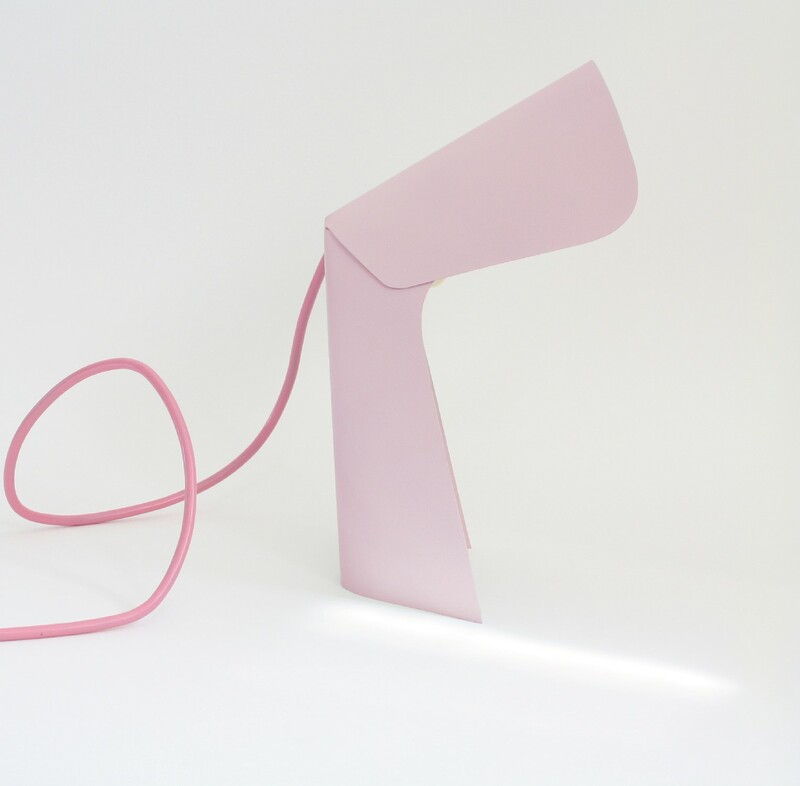 This lamp plays on the combination of warm bending and graphic folding, it gives the lamp a feminine and masculine aspect at the same time. 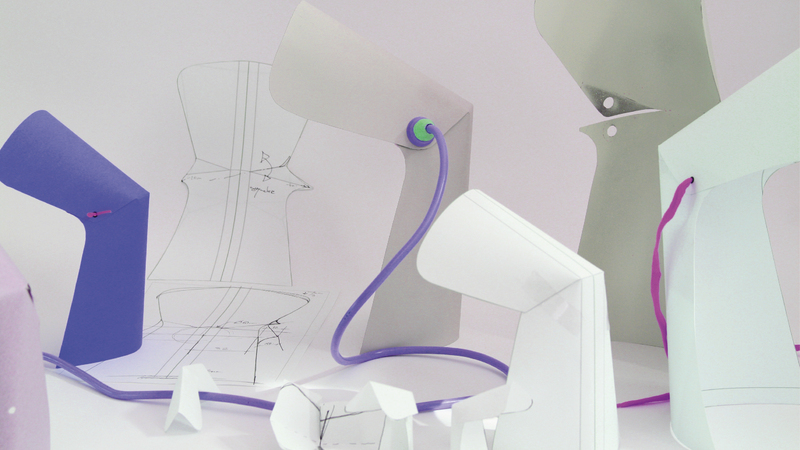 The support of the lamp becomes the lampshade, creating an isostatic support.